On the 22nd October, our proposals team noticed a gentleman called David Cyril on Instagram with around 2k followers. They shared it across the office saying how sweet he was and predicting that his account would go viral. At the time of writing (Nov 9th) he now has 53.2k followers with exponential growth over the past week. 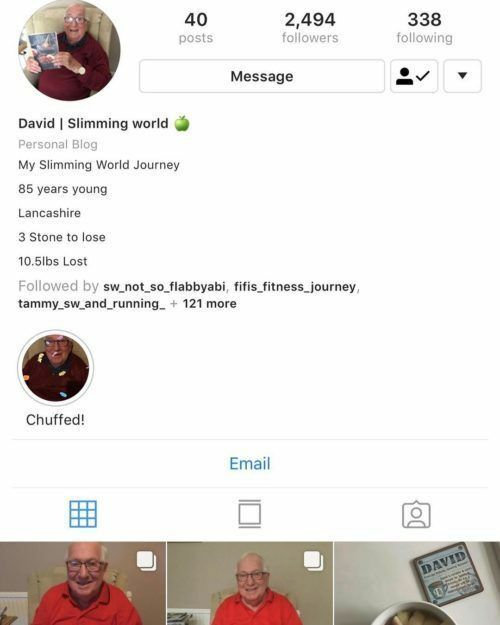 He has gone viral across social media and is driving quite the audience, but how has the slimming world star reached such an audience? DavidCyril_SW represents the very purest and most authentic part of Instagram and social media. He is sharing his journey for the sheer pleasure of sharing his journey and being part of the slimming world community. He isn’t trying to grow his profile, get likes or engagement. Ironically, that’s why people are engaging so much with his page. 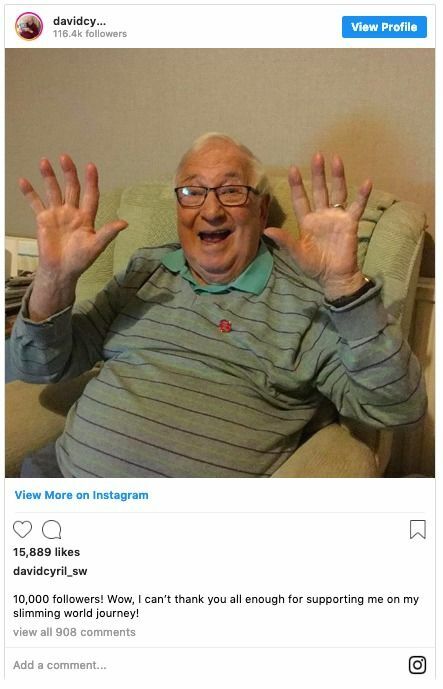 His post celebrating 10k followers has 14k likes alone. His relationship with his audience is one of support and positivity as social savvy millennials and Gen Z appreciate his genuine approach to the platform. So what can influencers and brands learn from accounts like Davids? Clearly, authenticity is king. When I asked the office why they like his page so much, they all said one thing; “it’s just so pure!”. We don’t feel that David has an agenda; as an audience, all we see is someone who wants to share their story. Slimming World now has a fantastic ambassador for their products and there are others who are jumping into the story already including Iceland. For brands to continue working with influencers effectively one thing is clear; being genuine with your audience is the key to strong relationships online and engaging your audience. Click here to register – It's FREE! To send a message, please fill out the boxes marked *. A copy of your request will be sent to the email address provided.